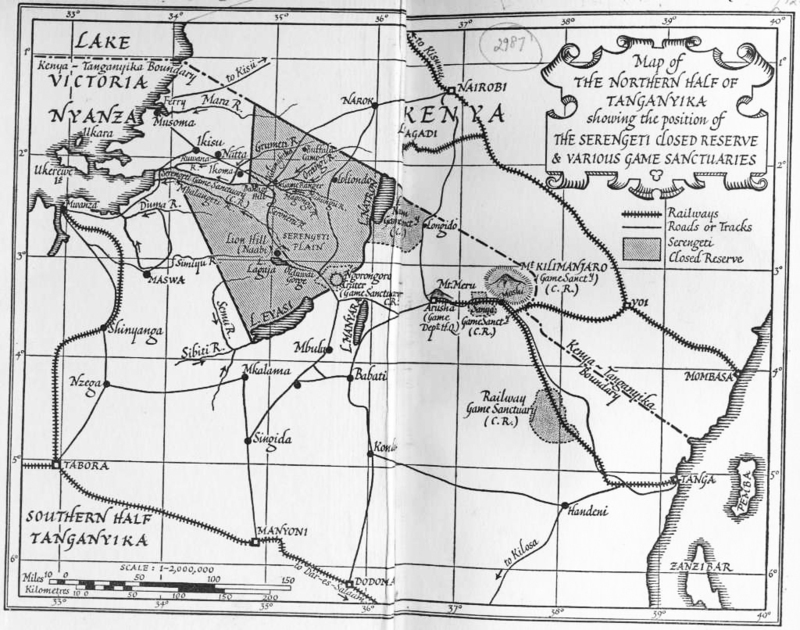 In 1953 I was working on the eastern slopes of Mt Kilimanjaro occupied by the Wachagga, a highly intelligent tribe who conformed to their own sophisticated tribal laws, particularly those related to land tenure, and were good agriculturalists too. They valued their very productive land, and many had prospered having engaged in growing Arabica coffee which was ideally suited to the climate and soils of the mountain slopes. My district extended 80 miles from the town of Moshi to the Kenya border at a place called Laitokitok. 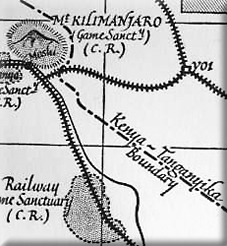 The western slopes of the mountain were the province of another officer, and this area was called Ngare Nanyuki where there were several huge farms occupied by Europeans who grew thousands of acres of wheat each year. 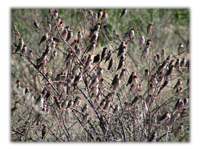 Unfortunately, some very destructive small birds called Sudan Dioch, being new to the district and most unwelcome, discovered the wheat and descended in their thousands and commenced to destroy acres and acres of crops. The situation was considered very serious for the farmers, and for the many different nationalities living in that part of the world that relied on wheat flour for making bread. A meeting was called to discuss strategies for dealing with the situation, with input from the farmers who had their say and came up with various ideas as to how to eliminate the birds. The newly appointed Crop Protection Officer attended the meeting and listened to proposals as to how best to deal with these birds, considered to be pests. 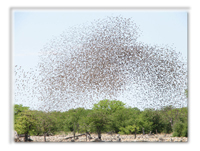 It was discovered that the birds, in their thousands, roosted overnight in trees and bush-filled gullies. The gullies were of course quite large in area, probably covering an acre or so and were about 12 feet deep. Now the best solution the experts could come up with was to consider blasting the roosting areas at night with sticks of gelignite. A trial was carried out and it seemed the best medium for the gelignite was a 40-gallon drum because it created intense heat vertically, but reduced the risk of creating fires laterally. The trial was successful and the next stage was to carry out such an operation on a really large scale. The officer in charge of Moshi District made contact with an appropriate shipping agent in Mombasa and discovered a consignment of gelignite was about to arrive by sea at the port. So, ten tons were ordered. The plan was to transport the gelignite by goods train from Mombasa to Voi, a busy station and junction on the main Mombasa/Nairobi railway line, just over the border in Kenya, a distance of 113 km from Moshi. The road was unsealed, and badly corrugated and extremely dusty in dry weather which made it hazardous when meeting or catching up with another vehicle because of the density of the dust. The only vehicle available for our purpose was a 10-ton Bedford truck belonging to the Native Authority. The District Commissioner duly commandeered the vehicle and the next problem was to find a driver, preferably a European, because of the nature of the material being transported. Well, said the DC, "You can drive a truck, can't you Edwards," and being young and stupid I said, "Yes". It was true because I had driven all sorts of vehicles whilst farming in the UK. Back on the western side of the mountain the farmers had been coerced into providing about fifty 40-gallon drums, preferably old ones, for placement, under the supervision of the Pest Control Officer, in the gullies where the birds were known to roost. My role was simply to drive the truck to the Voi marshalling yard to meet the train and then load the 10 tons of explosive, with the assistance of four Africans who were to accompany me. It all sounded rather simplistic really, but it was not quite so when I discovered the goods train would not arrive at Voi until midnight! This meant of course driving over a pretty dreadful road in the dark where there was always the possibility of meeting wild animals, and vehicles driven by drunken Africans, and since Voi is renowned for its elephant population one wondered who would be likely to come off the worse in a collision possibly between 10 tons of explosives and an elephant? After all details had been worked out and train arrival time noted, I was finally given the departure date so I set out for Voi at about 9 pm. We arrived without incident and had time to kill at the station. I remember sitting in a waiting room where the only lighting was that of kerosene lamps with the usual familiar smell. I managed to find a small stall selling some exotic dishes, mainly for African travellers, remembering of course this was not Paddington or Charing Cross! By the time the train arrived I had completed the necessary documentation. All that remained as soon as the train stopped was to back the truck up to the wagon, where we started to unload the boxes of gelignite and stacked them on our truck. We had to work like the clappers because 10 tons between five of us was quite a lot of work, under less than ideal conditions as the humidity at that time of night was almost unbearable, to say nothing of the mosquitoes. Eventually we were fully loaded and I drove the vehicle and set out for Moshi at about 4 am, arriving at breakfast time at the home of the Pest Control Officer. I was greatly relieved to hand over the truck and its consignment to him which, from then onwards, was his responsibility to take the truck and its load a further 50 km to Ngare Nanyuki. A team of farmers was waiting to commence the distribution of several tons of gelignite sticks, attaching them to the 40-gallon drums, all of which were linked together by a network of fuses so that they could go off in one huge detonation. I duly went home to catch up with my sleep because it had been quite stressful driving a truck over bad roads, in the dark, not knowing what was lurking on the sides of the road. I was also conscious of the corrugations making the entire truck rattle and shake! Perhaps sticks of gelignite are inert until contact with a fuse or fire, but how was I to know what the consequences would be? I was just an adventurous young man with no wife to worry about, and prepared to give anything a go! As a precaution of course I forbade my workers to smoke whilst sitting on the load! Well, the sequence to this tale is that whilst I was not invited to be present for the 'big bang', I had done my bit to make it happen. By all accounts the explosion lit up the skies of Kilimanjaro, and the diochs were destroyed totally over a period of a few days. A good percentage of the crop of wheat was saved and harvested, which made the farmers happy! In those days, there were no regulations about protecting species of birds, but such would not be the case today!